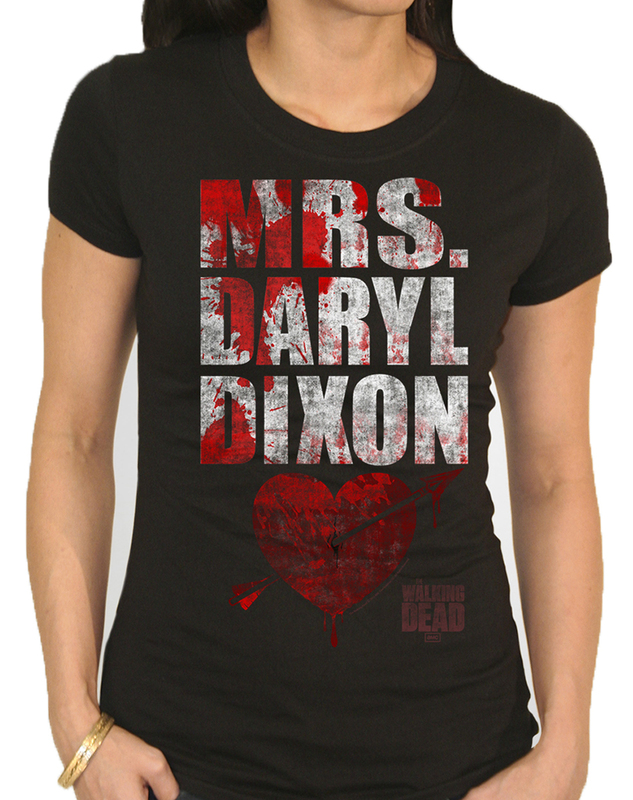 Write your self into your favorite TV show when you wear this officially licensed Walking Dead Mrs Daryl Dixon Adult Womens T-Shirt. The AMC original TV series shirt features white screen printed lettering with blood spatter graphics. Get your very own Walking Dead Mrs Daryl Dixon Adult Womens T-Shirt or view more of the Best Walking Dead Costumes, Props, & Decorations right now!